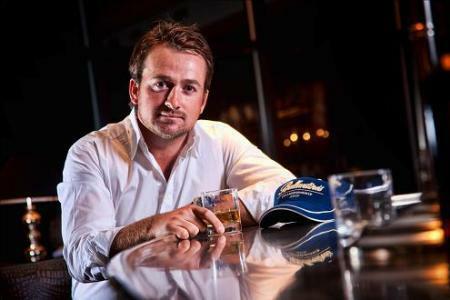 Graeme McDowell will be closely watching the world rankings between now and the new year. The Ulster wonderkid remained into the top 50 yesterday without having to hit a shot. And if he stays there until 31 December, he will get to tee it up in the Masters at Augusta next April. 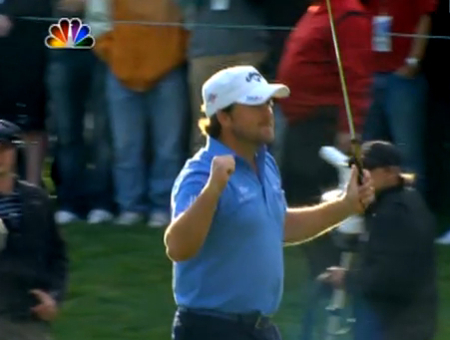 McDowell has put away his clubs for 2005 and is currently enjoying his winter break at his Orlando base. But he will have been pleasantly surprised to stay at world No 50 after deciding to skip the first few events of the 2006 season on the European Tour. Paul Casey's play-off victory in the Volvo China Open gave him the bonus he was hoping for - a return to the world's top 50. Casey, who beat fellow Englishman Oliver Wilson in sudden death, moved up from 61st to 49th. But there was also a boost for Ireland’s Padraig Harrington, who took a break last week and leapt three places from 14th to 11th. Harrington had originally entered this week’s €1 million Omega Hong Kong Open at Fanling but will not take part as he prepares to end his season at Tiger Woods’ Target World Challenge in California next week. The Dubliner has finished first and second on his last two visits to Hong Kong but his absence means that Ireland’s hopes will be led by up and coming star Peter Lawrie. Lawrie finished a superb sixth in the Volvo China Open on Sunday to move up 13 spots in the world rankings to 228th and give his 2006 campaign the perfect start. He is still chasing his maiden European Tour win but faces a stiff challenge at Hong Kong Golf Club from defending champion Miguel Angel Jiménez, Scotland’s Colin Montgomerie, Korean KJ Choi, Dane Thomas Bjorn and the in-form Casey. Gary Murphy, Michael Hoey, Damien McGrane, David Higgins and Stephen Browne are also entered for the Hong Kong event. But Ulsterman Darren Clarke will be 6,000 miles away in South Africa for the $4 million Nedbank Golf Challenge at Sun City. Formerly the Million Dollar Challenge, 12 players will compete for a top prize of $1.2 million with world No 5 Ernie Els making his comeback from a knee injury. The field includes six of the world's top 10, including 2004 champion Retief Goosen, Sergio Garcia, Jim Furyk, Adam Scott and Chris DiMarco. Clarke, Stewart Cink, Luke Donald, Angel Cabrera, Kenny Perry and Tim Clark make up the rest of the field. South African Clark won the 36 hole Nelson Mandela Invitational at the weekend and promptly donated his Rand 125,000 (€16,000) winner’s cheque to help a deaf child. Clark only knows her as Siobhan and she is a pupil at the Carel du Toit School for the hearing impaired in Cape Town. The event was preceded by a charity auction that raised €100,000 for the Nelson Mandela Foundation. Coca Cola boss David Lyons, the company's Africa division president, paid almost €16,000 for a fourball at Ronan Keating's annual charity golf day at the K Club. Graeme McDowell moved up eight places to 36th in the world thanks to his fifth career victory in the Celtic Manor Wales Open. When Graeme McDowell beat Tiger Woods in a play-off for the Chevron World Challenge four weeks ago, he jumped four places to a career high seventh in the world. But while he hasn’t hit an official shot in anger since then, he’s moved up another two places in the rankings, finishing the year at world No 6 before jumping one place to a career best of world No 5 in the first world ranking of 2011. David Higgins made a massive leap in the world rankings thanks to his top 10 finish at Wentworth. PIcture Fran Caffrey/www.golffile.ieDavid Higgins made a huge move in the latest world rankings when he jumped 793 places to 651st thanks to his 10th place finish in the BMW PGA Championship at Wentworth. But not all Irish golfers were going in an upward direction in the latest list.